The engineers at Aalborg CSP are shedding new light on diversified applications for solar energy. 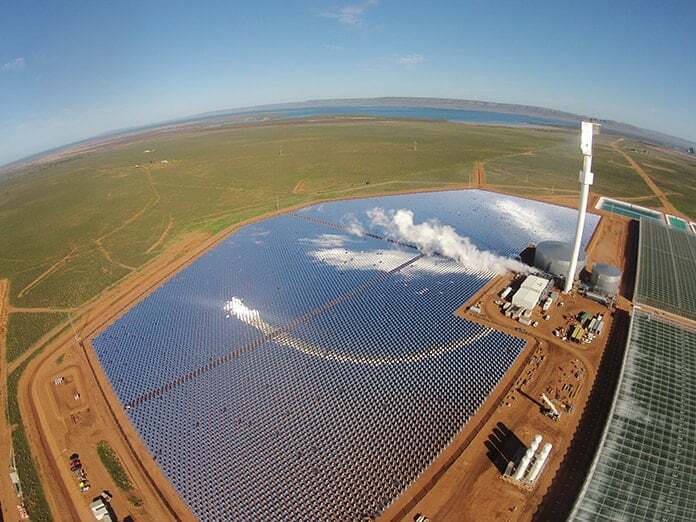 Concentrated Solar Power (CSP) is the Danish company’s corporate focus, a successful approach which led to a world-first in October, 2016, with the opening of Sundrop Farm at Port Augusta in South Australia. 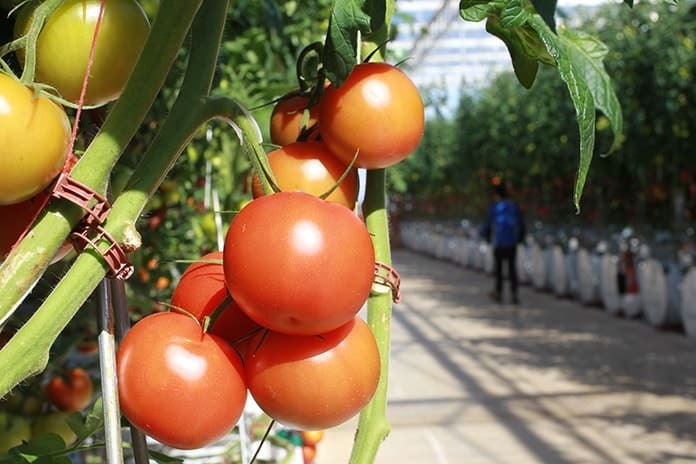 Using sunlight and seawater in an integrated renewable energy system which produces heat, steam, electricity and fresh water, the farm’s glasshouses, which cover 200,000 square metres, produce 17 million kilograms of hothouse tomatoes annually. 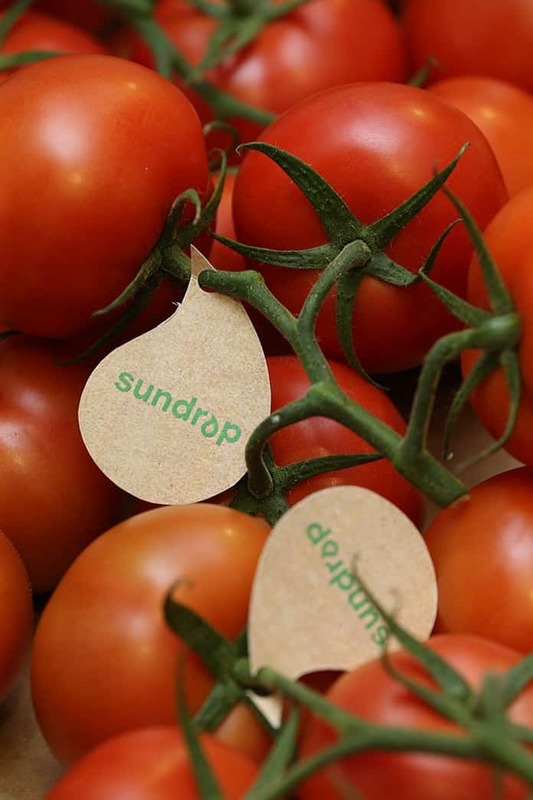 That’s a 15 per cent slice of the nation’s annual tomato production served up on a plate by one farm, and Sundrop hopes to build three to five more farms in Australia over the next five years. 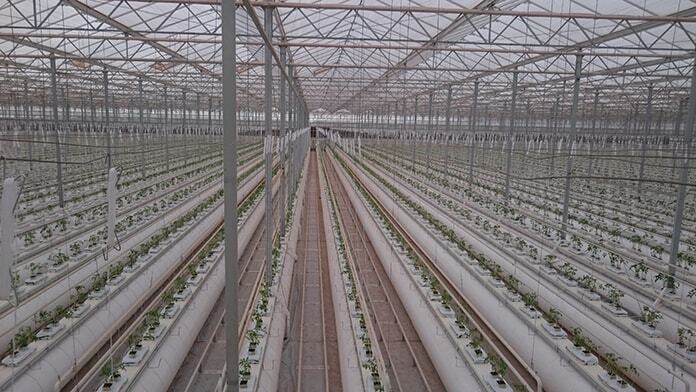 Also in 2016, another Sundrop Farm was completed in Odemira, Portugal, and building began on a sustainable greenhouse system in Tennessee, in the United States. 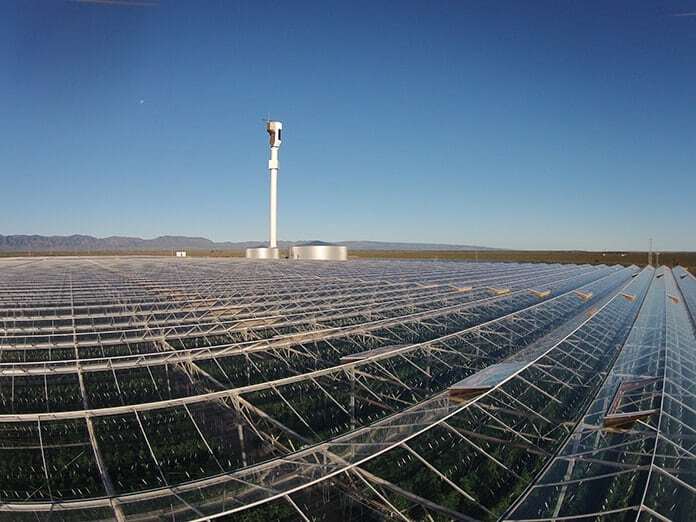 Overlooked by the ancient Flinders Ranges, Australia’s first Sundrop Farm is powered by 23,712 computer-controlled parabolic mirrors which focus on a 234-tonne boiler located on top of a 127m-high tower in the desert, five kilometres from Spencer Gulf. 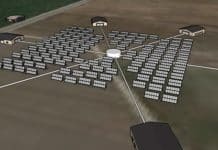 The environmental upside of this integrated, self-sustaining energy system, which annually produces 1,700MW of electricity and 250,000 cubic metres of fresh water, is a yearly reduction of some 16,000 tons of carbon dioxide, equivalent to the removal of 3,100 cars from the nation’s roads every year. But of equal interest to the renewable energy industry is the imagination and creativity required to build such a system. Engineering necessity is driving change. “This plant has been designed to provide multiple energy systems,” Aalborg CSP commissioning engineer Terry Sullavan said. Seawater taken from Spencer Gulf is heated to 232℃ in the boiler 127m above the desert plain. The circulation of the feed water through the receiver panels and up the tower to the boiler does not require a pump. “We take advantage of natural circulation to make that happen,” Mr Sullavan said. Cleaning 23,712 parabolic mirrors was another problem. “We have made it as easy as possible,” Mr Sullavan explained. 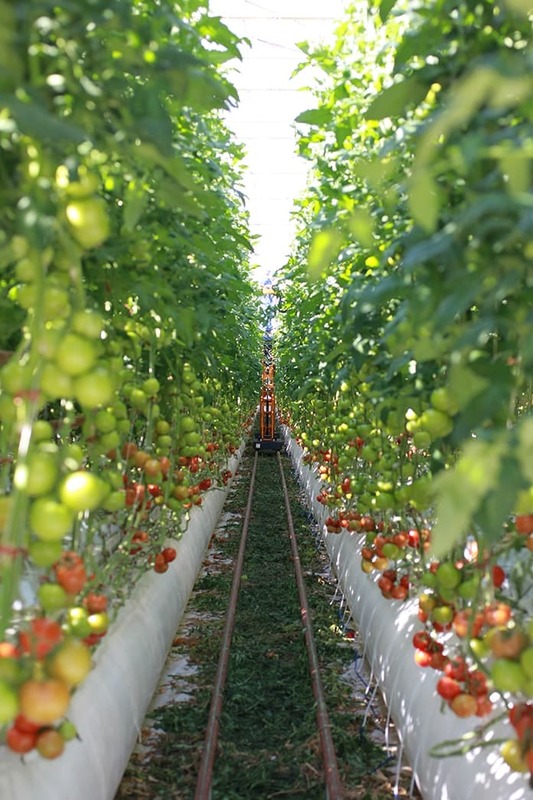 What Aalborg CSP and Sundrop have created could well be the future of dry climate farming. 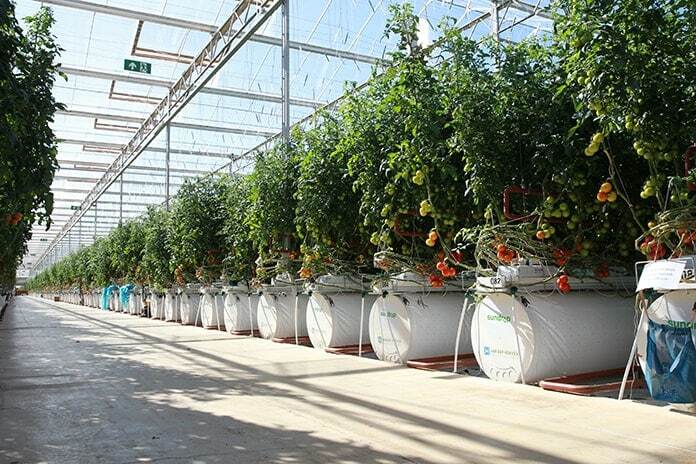 With the world’s food bowls coming under increased pressure from over population, the system could be seen as something of a Holy Grail in arid farming – capable of increasing food production with a sustainable, energy-neutral system which can be located anywhere on an arid coastline and which is not subject to water shortage. We have salt water and large solar resources readily available in some of the most stressed regions of this planet. Using this solution provides an answer both for energy and food safety for those countries. – Aalborg CSP CEO, Svant Bundgaard said. 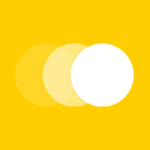 The mission of the company is to change energy. The integrated energy system is about creating a transition towards another world which relies more on renewable than fossil fuels because that’s going to help the environment. 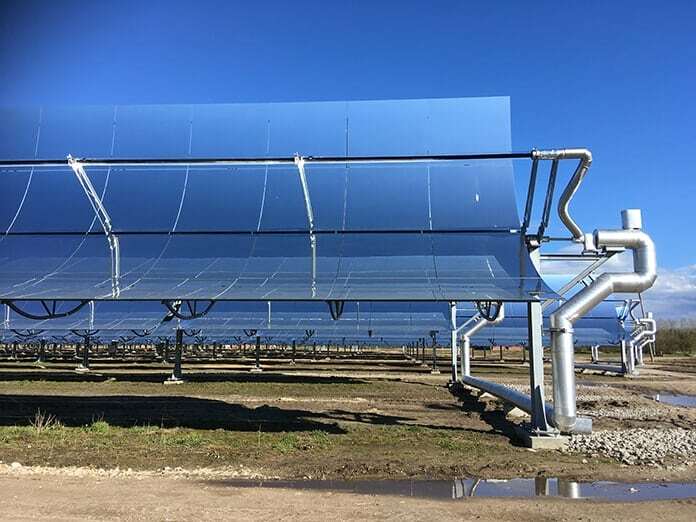 Aalborg CSP has been involved in establishing 19 operational plants in eight countries around the world, with a further three projects currently under development. “We have a number of similar projects to Sundrop under development and have most recently completed a combined biomass-organic rankine cycle (ORC) plant for combined heat and power based on co-generation between CSP and wood-chip-biomass in Denmark,” Mr Bundgaard said. 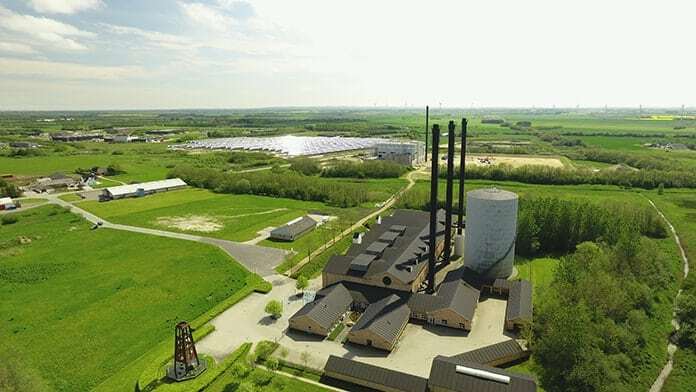 Developed in collaboration with the Brønderslev Forsyning heating plant, it is the first large-scale system in the world using CSP in an integrated energy system designed to optimize efficiency of ORC even in areas with less sunshine. Overview of reflective CSP mirror field at Brønderslev project in Denmark. 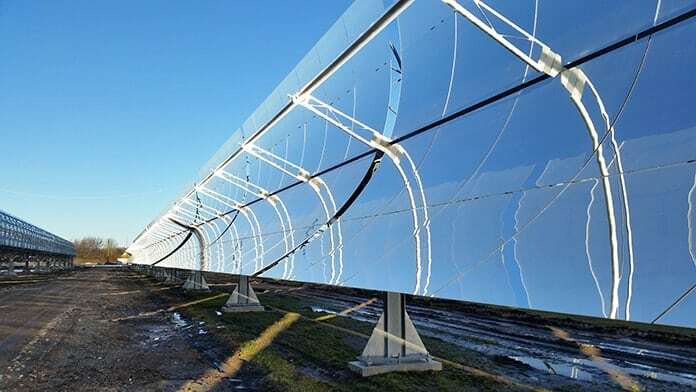 The 16.6 MW CSP plant, consisting of 40 rows of 125m parabolic troughs covering an area of 26,929 square metres, enables the production of heat and electricity in one carbon-free system. 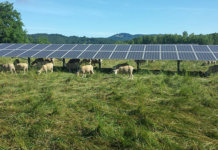 The parabolic troughs, purpose-built for the Nordic climate, can produce energy during average wind speeds of up to 15 metres a second, fitted with a receiver pipe surrounded by a glass vacuum tube to reduce heat loss. The fluid in the receiver pipe, heated up to 330℃, drives a turbine to produce electricity. Reflective CSP mirror trough at Brønderslev plant in Denmark. The energy yield of the system is maximised by generating electricity for the grid at peak price periods while any waste heat is sent to the district heating circuit. 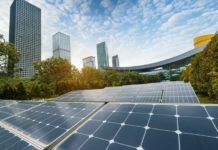 Aalborg CSP is looking at other projects in Australia, the Middle East, China, Indonesia and Africa, targeting the horticultural, mining, dairy and meat processing industries, all of which are challenged by uncertain and increasing energy prices. Aalborg is building two trains of SGS4 steam generators and associated equipment capable of providing uninterrupted conversion of solar heat to superheated steam at 136 bara and 538℃ for China’s massive 50MW Shenzhen Jinfan CSP Project. Located in Aksai, Gansu Province the molten salt project, which has a solar field of 2.5 square kilometres with 152 rows of parabolic troughs and a targeted energy storage capacity of 12 – 15 hours a day, is part of a five-year government plan to change the landscape of large-scale electricity production in China. 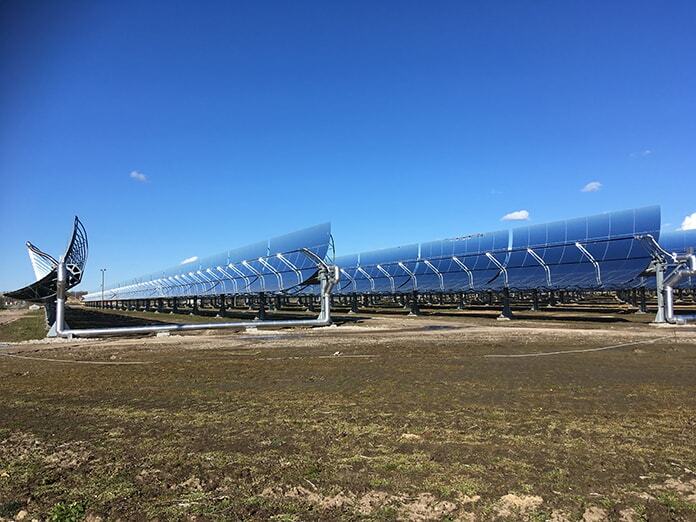 The building of Sundrop Farm at Port Augusta has shed new light on how CSP can be integrated with mature energy technology to come up with new solutions. And the momentum will increase. 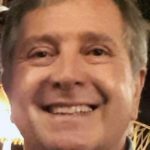 “The Sundrop Farm project at Port Augusta stands as a beacon for the solar industry as a whole,” Svant Bundgaard said. Given its vast expanses of desert, coastline and high levels of sunshine, Australia is an economically, socially and politically viable country in which CSP can thrive. Those are hemostats, not parabolic troughs, in the section on how they clean the mirrors. And for an annual measurement of electricity production it should be in the units MWh, not MW.